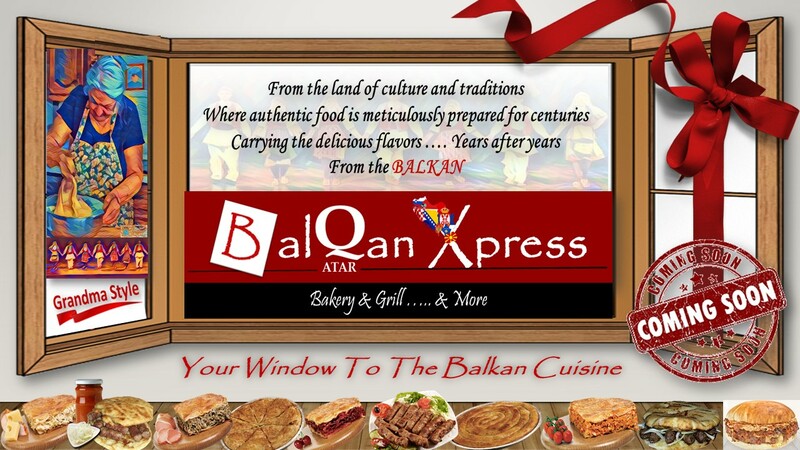 BalQan Xpress is a local company brand, registered in Qatar as the first authentic and traditional Balkan cuisine in Qatar and the Gulf. The Balkan traditional food is famous in two different genuine lines; Grill (Skara) and Bakery (Pakara). Balkan bakery and grill is very well-prepared and authentic in nature, and prepared and cooked according to specific traditional cocking process. It is distinguished by the very delicious flavors and the unique blend of spices and cooking methods. The Balkan bakery is well known for centuries and it is distinguished with its simple preparation and unique additions and flavors. Bakery always rich and cover wide range of tastes, between simple bites and snacks to full meals and filling pies. The BalQan Xpress will provide the two lines of traditional food in a fast-paced, high quality and homemade style fashion. The company will specialize only in Balkan bakery and grill that will be served as a take away or eat-out style. This style will be most appropriate in a commercial mall setting or shopping area. All our products will be served on the spot and freshly made. All preparation, cooking and dispensation will be done in the company premises. All employees and cooks are from Balkan homeland, mostly Macedonia, who holds many years of practical experiences in serving wide variety of Balkan food.